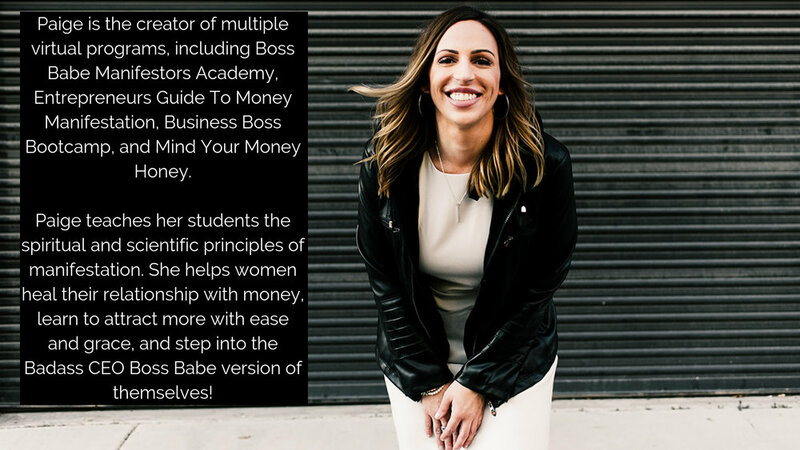 Paige coaches entrepreneurial babes to improve their online businesses through spiritual principles of mindset, manifestation, and energy. She is advocate of growth mindset and grit—she believes that limitations are simply a choice. With the right education and tools, anyone can become an entrepreneur with location freedom and flexibility to sculpt their career around the life they desire and love. Paige believes with a little guidance, ambition, and a solid game plan, you can tailor your situation and vision to manifest the vibrant and energized life you’ve been craving! She lives, leads, and coaches through the principles of unwavering self belief and confidence. She truly believes in human kind and the untapped potential that is waiting within you to be unleashed.